The best home security system is one that works the right way, and that a homeowner can trust and rely on. Part of that system is a carbon monoxide detector. Whether it’s tied to other parts of the system or it’s a stand alone option, it needs to work properly or it’s not doing its part to protect the homeowner. But what does it mean when the carbon monoxide detector is flashing a green light? Most of the time, this means the detector is working normally. The flash of green every 30 seconds or so is the way the homeowner knows that there’s nothing to be worried about. Not only is the detector not picking up any carbon monoxide in the home — it’s working properly so it would find this colorless, odorless gas if there was any to be located. That’s a good way to be sure that a homeowner can have good peace of mind, and feel safe and secure in their home. In most cases, green is a good thing. Green is the color of safety, showing that everything is okay and working properly. But it’s important to know the carbon monoxide detector, because some of them flash red when working correctly. If it’s supposed to be flashing red and it’s flashing green, that could be indicative of some kind of issue. Overall, homeowner shouldn’t anticipate a green flashing light as being a problem. 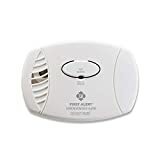 Since green is usually what people associate with everything being all right, it’s usually safe to assume that’s the case with the carbon monoxide detector. But at the same time it’s not a bad idea to make sure that’s really the case. If not careful, a homeowner could end up in trouble simply because they assumed their detector was working fine when it really needed to be maintained or adjusted in some way. The most common way to adjust one of these detectors is to replace the batteries. Sometimes the light is the only warning that needs to be done. With the right security system, a homeowner will have peace of mind as well as security. That same homeowner will also know what their detector normally does, so they can see when something new happens. That’s why it’s so very important to understand a home security system very well. Learning all they can about their system should be the goal of homeowners who have these kinds of systems, so they can avoid issues that could have easily been addressed and not become a serious problem. 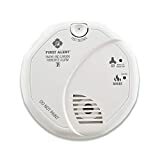 It’s usually not hard to find out what a carbon monoxide detector normally does when it comes to what color the lights are, so a homeowner can reduce their need to worry and focus on any obvious changes that should be addressed. 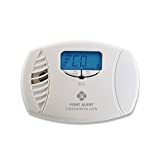 All of these things are important in a home security system, whether or not carbon monoxide detectors are included with this system.